Weekend Obsession: Style Spotted in Shehla Chatoor for All Occasions! The Shehla Chatoor brand is the complete package, and while the designer’s luxe east west luxury pret wear is often spotted on red carpet celebrities and fashionistas, what we might not see in the limelight are the ethereal brides and dignified wedding guests that choose to wear Shehla Chatoor for these formal occasions. However luckily we have an assortment of real women spotted stunning in bespoke bridals and glittering evening wear side by side with some glamorous ladies in Shehla’s signature silk print cocktail wear and her latest range of statement saris. Exquisite trousseau and bridal wear has been Shehla’s forte since she first began her label nineteen years ago. Therefore one can imagine the depth and dimensional expertise of her hand crafted couture. A true believer in creating collectible one of a kind bridals for her discerning private clientele, Shehla chooses not to show at bridal weeks so as to keep each ensemble an original, never before seen under the public eye. While her couture designs have a distinct contemporary mood, the hand work is rooted in age old heritage crafts using gaara embroideries, delicate fine zardozi and marori embellishments. For her luxury pret wear, both eastern and western, the designer loves to experiment with artistic prints inspired by European art and history and the Orient. Her distinctive color arrangements are particularly striking creating a timelessly beautiful impact. For example her versatile kimono capes and tasselled jackets can be worn with simple jeans or an LBD and exude instant chic glamour that never gets old. Meanwhile the opulent silk saris work seamlessly for red carpet event and wedding wear formals. The cherry on top to complete your Shehla Chatoor look is the magnificent statement jewellery line that she showcased at a recent exhibition and that are available for orders at her studio. The exotic fusion Oriental and Indian pieces would make a wonderful festive addition to your Eid look. 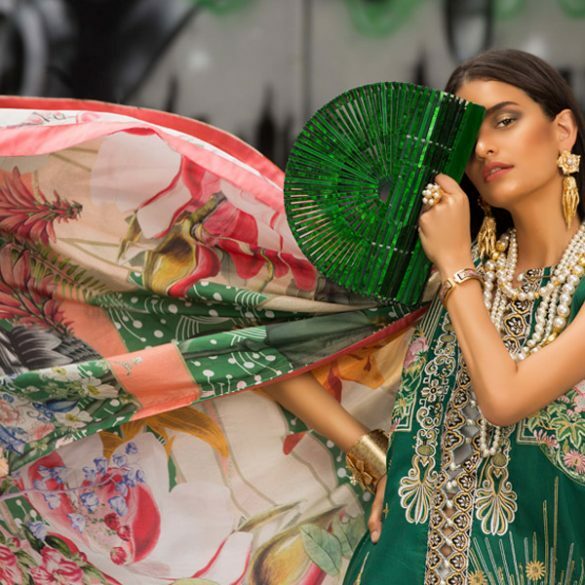 Take a look at graceful women wearing Shehla Chatoor from around the world and eclectic pieces from the design house’s new Eid jewellery range. Designer Debut: Ensemble Welcomes Indian Jewellery Label Isharya!